A very pleasing rules debut from Asking Questions. 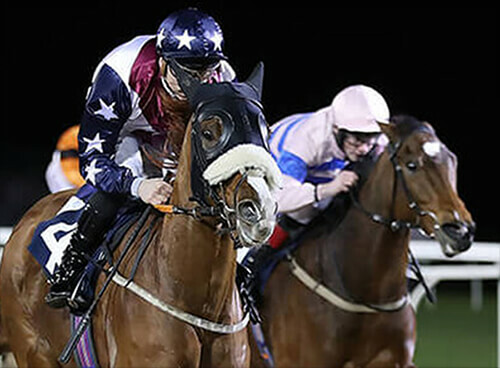 It was a very pleasing start to Asking Questions national hunt career on Saturday when he finished a very promising 2nd in the national hunt flat race at local track Bangor on Dee. It was his debut for the yard since being purchased at the Ascot sales in March, he had previously won a point to point in Ireland so it was obvious he would stay a lot further than 2 miles in the future. It looks like he bumped into an above average horse but it was a great platform to build on and he looks like providing the Salmon family with a lot of fun in the coming years.